We are experts in organizing Jordan travel services for our clients, our itineraries are carefully planned to allow the best use of time and resources when visiting Jordan's amazing tourism and travel sites such as the rose-red city of Petra, a new 7th world wonder, the magnificent desert of wadi rum and the amazing sites of Jordan. We employ the best guides and service personnel in order to insure that your clients are well taken care of in Jordan. 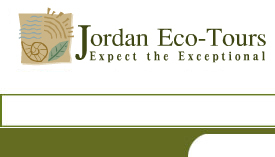 For further information please check out our updated Jordan travel section.